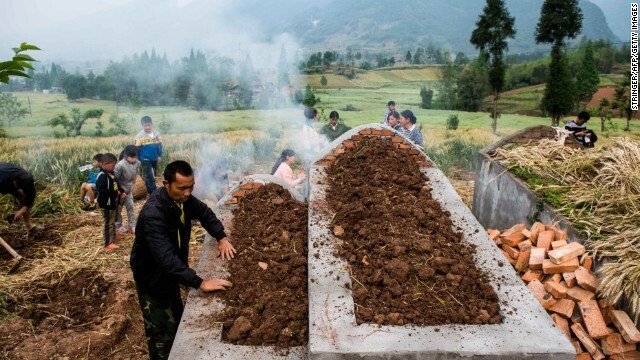 People pay their respects at a newly built grave in Ya'an, China, on Saturday, April 27, one week after a 6.6-magnitude earthquake. 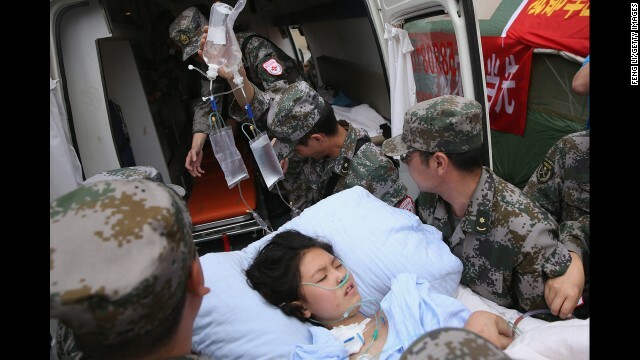 More than 190 people died and thousands were injured after the quake struck China's southwest Sichuan province on April 20, state media reported. 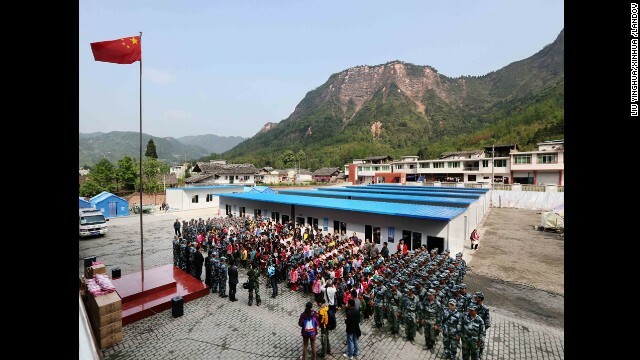 Students and soldiers from the air force attend a flag-raising ceremony in Baosheng Primary School in Lushan County, southwest China's Sichuan province, April 26. The primary school was built within 28 hours by the air force troops from the People's Liberation Army Chengdu Military Area Command, who also donated stationery and computers to students and teachers affected by the earthquake. 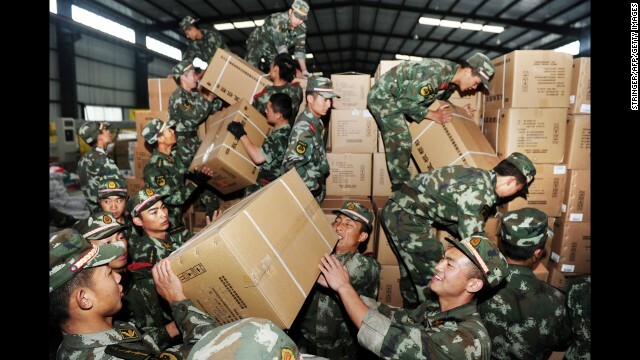 Rescue workers unload relief supplies in the Shuangshi township of Ya'an, China, on Thursday, April 25. 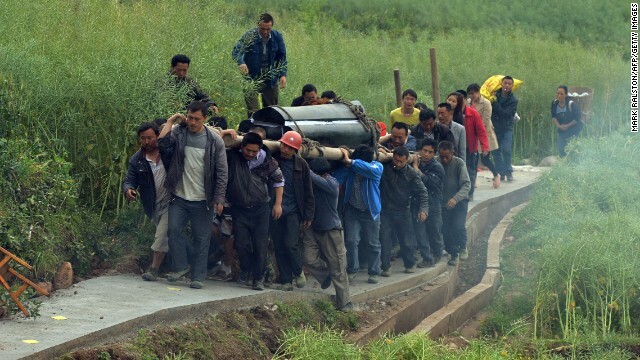 Rescuers carry a victim's body in the Taiping township of Ya'an on April 25. 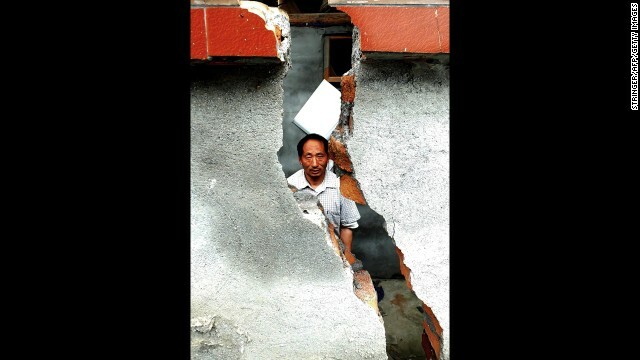 A man stands before his damaged home in the Taiping township of Ya'an on Wednesday, April 24. 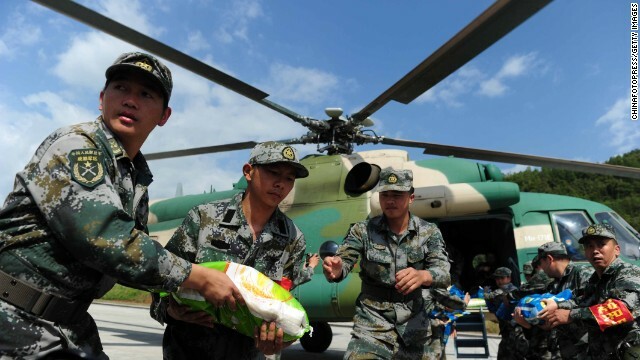 Rescuers load relief supplies onto a helicopter in Ya'an on April 24. 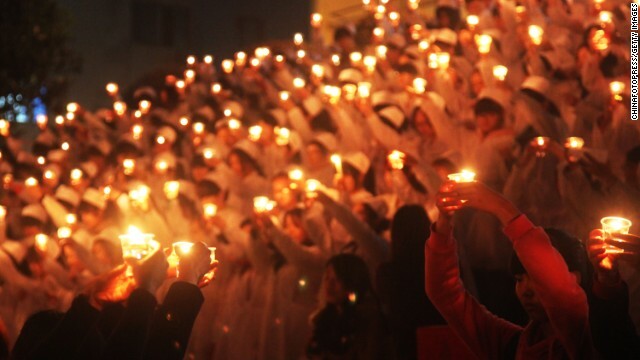 Students of the University of South China light candles to pray for quake victims on April 24 in Hengnan, China. 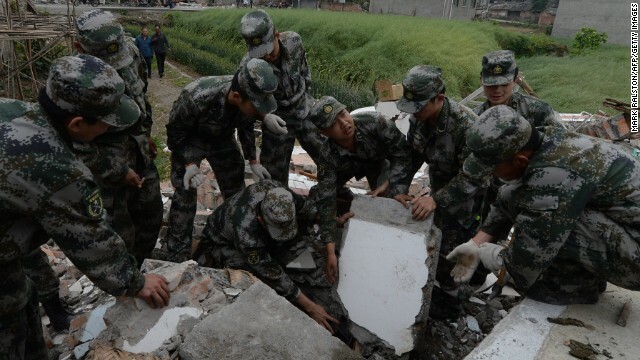 Rescuers check a collapsed building in Lingguan township in Ya'an. 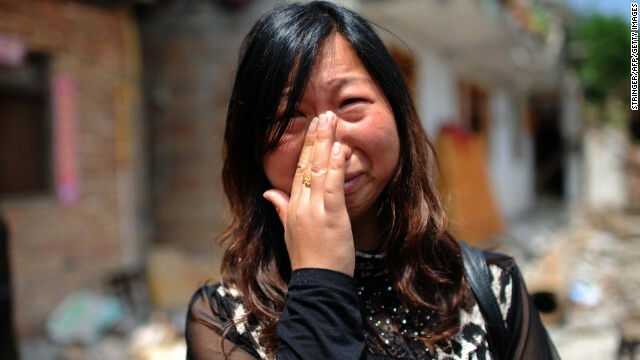 A woman who lost her son in the earthquake cries in front of her damaged home in Ya'an on April 24. 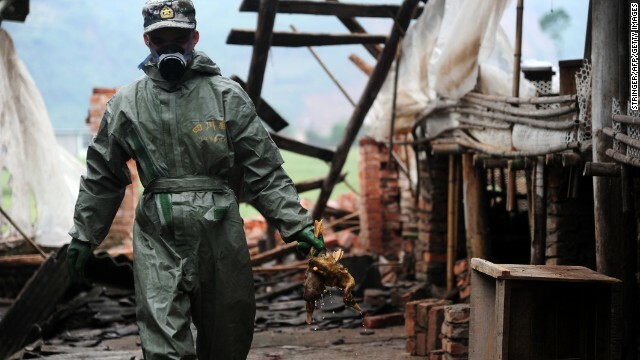 A health worker gathers dead ducks during the decontamination of a duck farm on April 24. 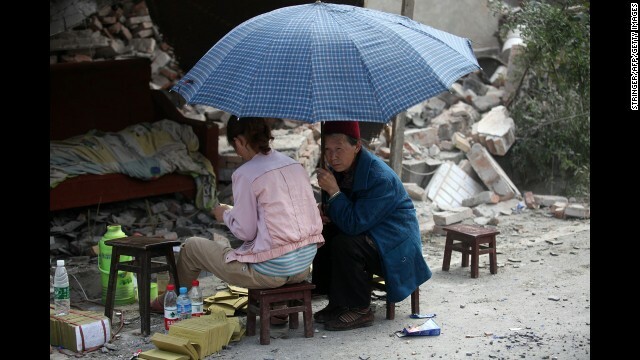 A woman sits on debris in Ya'an on Tuesday, April 23. 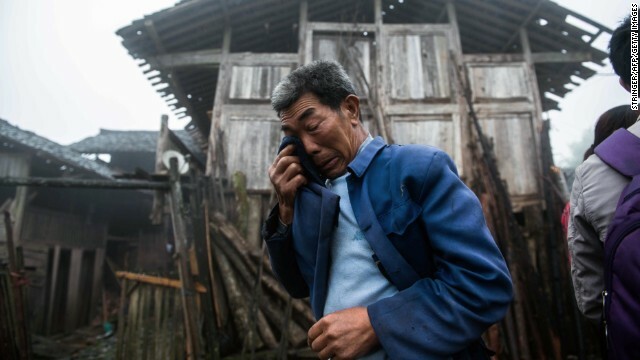 A man wipes away tears in front of a damaged house on Tuesday. 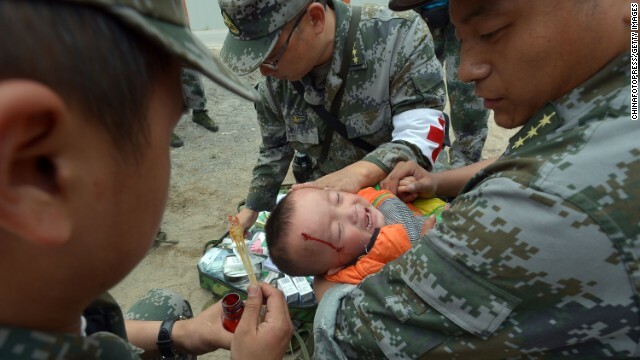 Rescue workers unload medicine in Ya'an on Tuesday. A man and woman react to the damage in Ya'an on Tuesday. 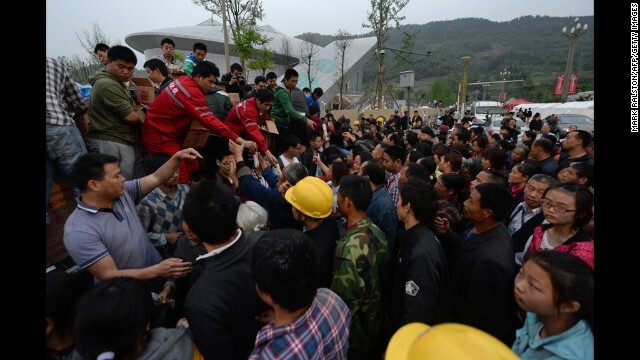 Villagers carry the coffin of a man killed in the earthquake in Lushan, Sichuan Province, on Monday, April 22. An injured boy receives treatment on Monday. 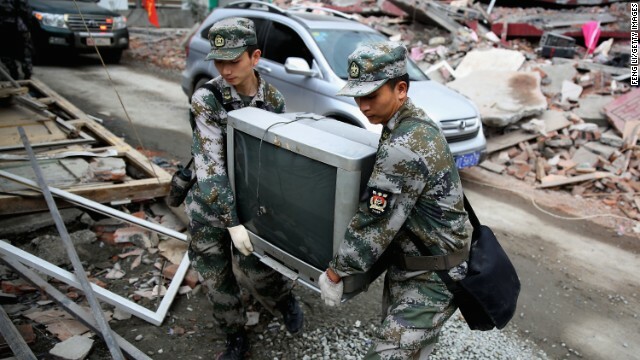 Two soldiers help move a television from a damaged house on Monday in Ya'an. Military medical officers carry a patient to an ambulance at the hospital in Ya'an, China, on Monday. 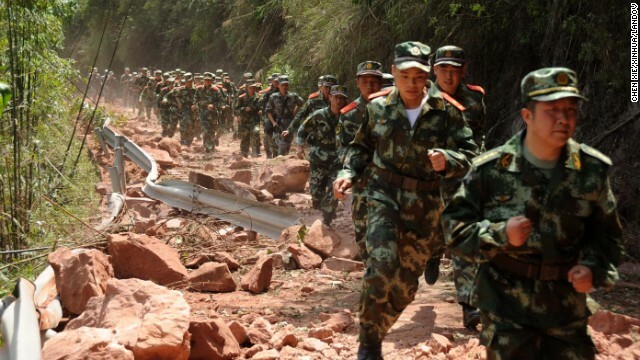 Chinese soldiers search for survivors on Sunday, April 21, in Lushan County. 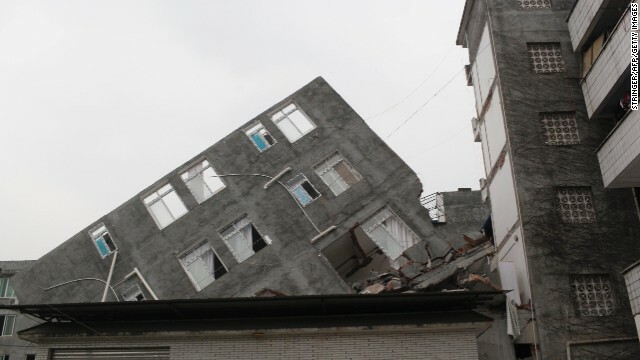 A building in Ya'an is lopsided on Sunday. 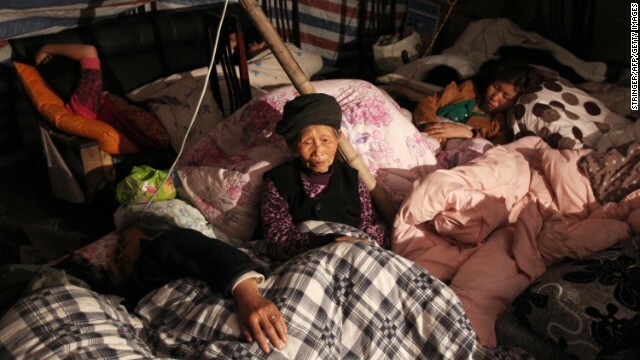 Families rest at an emergency relief center in Ya'an on Sunday. 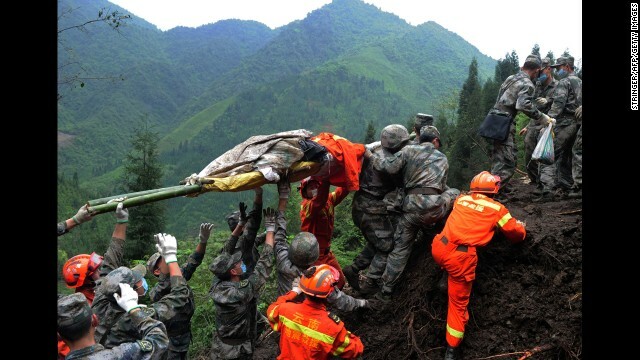 Rescuers evacuate an injured survivor onto a military helicopter on Sunday. 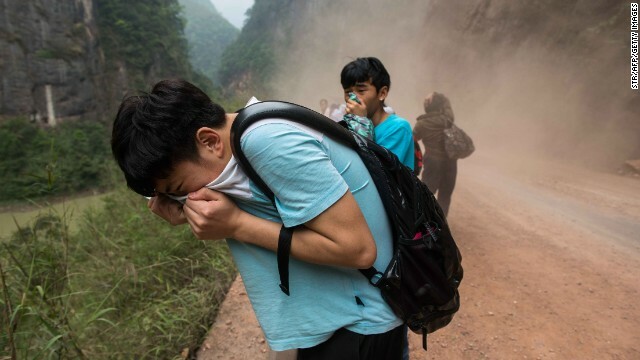 People cover their faces as rocks fall from mountains on their way home to Ya'an on Sunday. 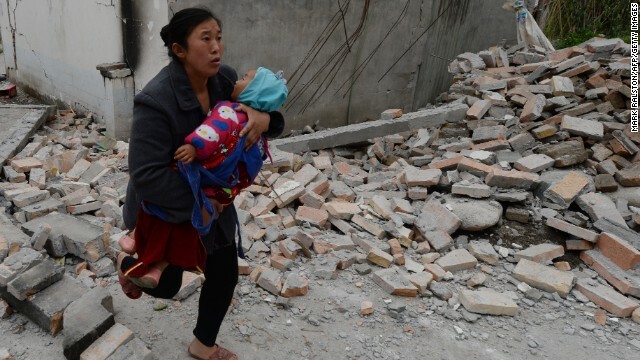 A woman carries her baby through rubble in Lushan County in Sichuan, China, on Sunday, April 21. 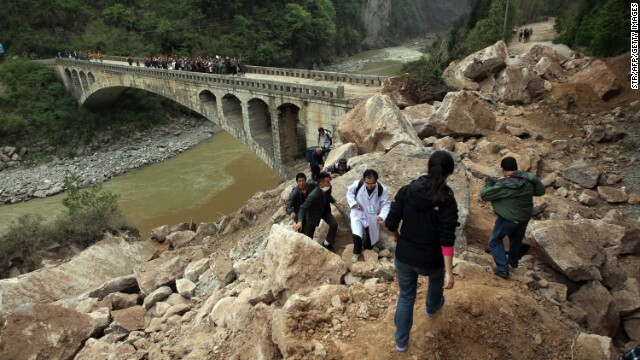 Survivors and rescuers make their way along a damaged area in Lushan on Sunday. 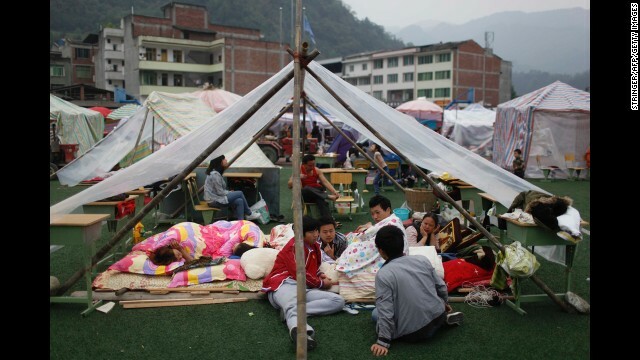 A family rests in a makeshift shelter in Lushan on Sunday. 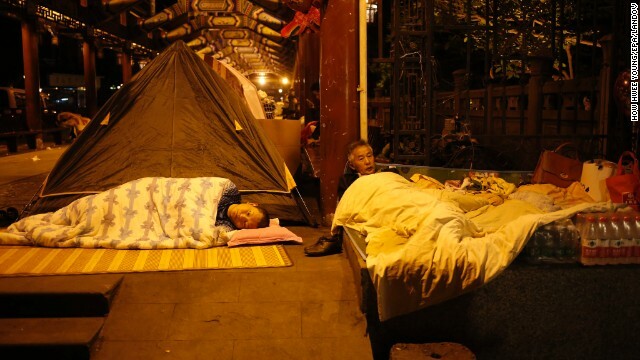 Chinese residents sleep in open areas for fear of aftershocks in Sichuan Province on Sunday. 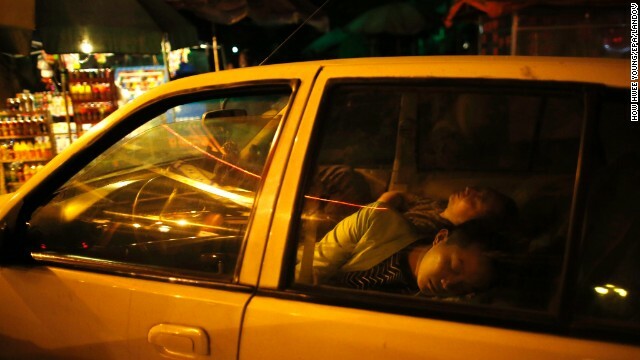 Chinese residents sleep in a car on Sunday to avoid danger from aftershocks. Rescue workers distribute food on Sunday. 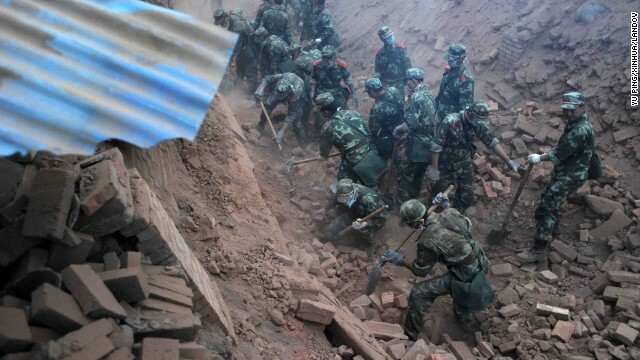 Rescuers dig through rubble in quake-hit Qingren township in southwest China's Sichuan Province on Saturday, April 20. 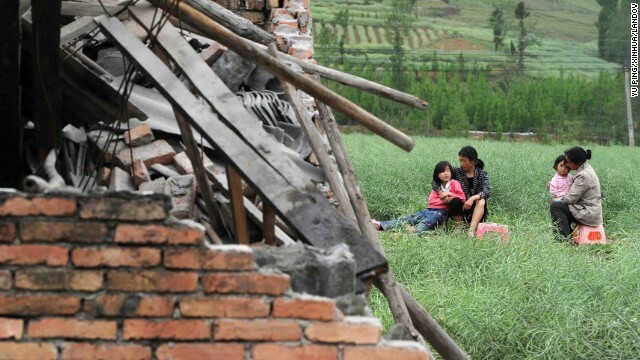 Residents rest near destroyed houses in Sichuan Province on Saturday. 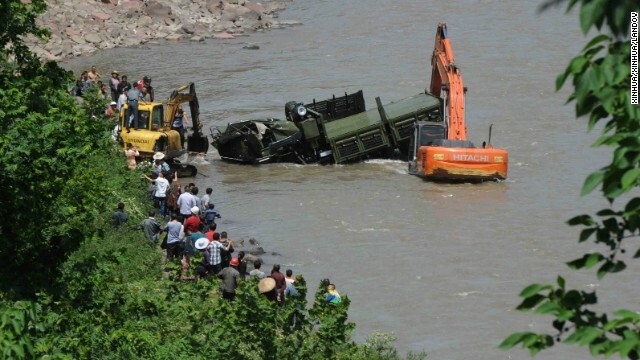 A rescue car from Chengdu Military Region falls off a cliff into a river in Sichuan Province. Two of the 17 soldiers in the car had died by 11:30 p.m. Saturday Beijing time. 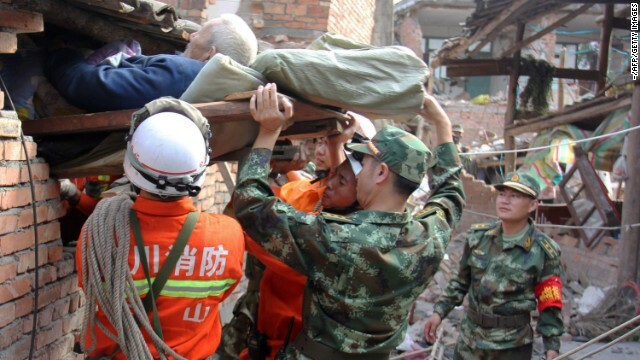 Rescuers carry a paralyzed patient from a collapsed house on Sunday in Qingren township. 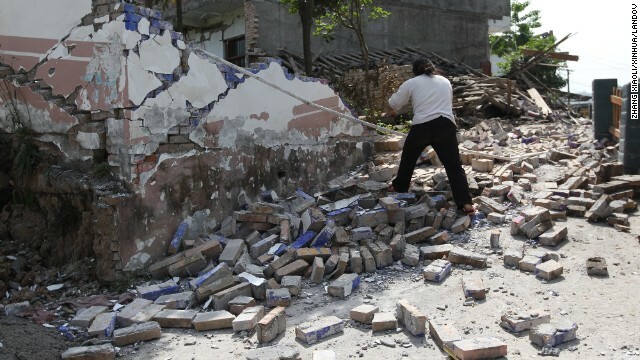 A woman walks on bricks fallen from a collapsed house Saturday in Longmen township. 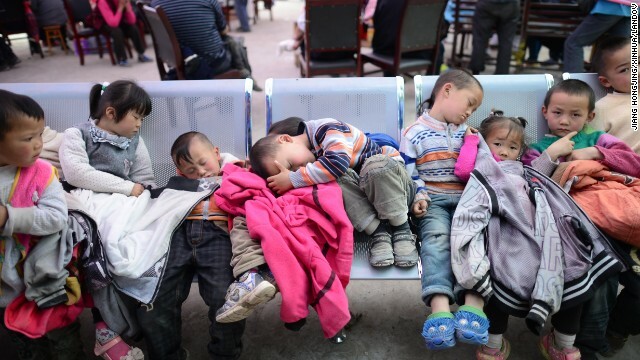 Displaced children rest at an evacuation shelter in Baosheng township on Saturday. Houses collapsed on the side of a road in Sichuan province. 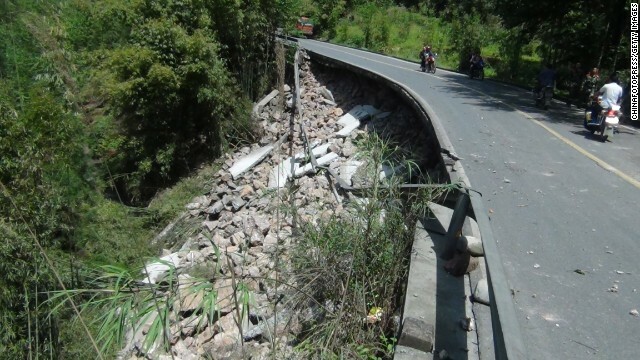 Rescuers run through a road blocked by fallen rocks on Saturday. 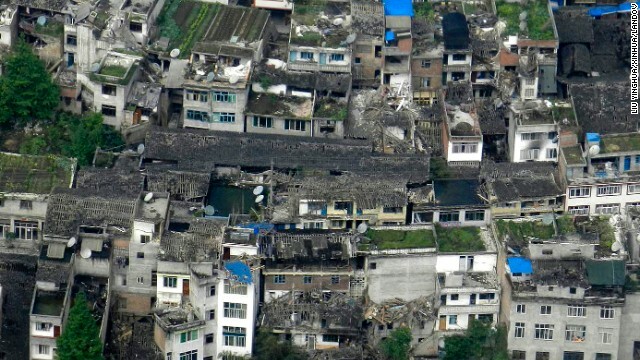 This photo taken on a helicopter shows the quake-destroyed houses in Taiping Town in Ya'an City on Saturday. 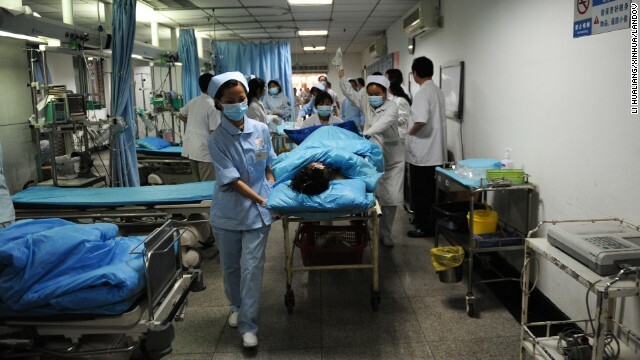 Medical workers pull an injured patient out of the emergency treatment room Saturday at a medical emergency center in Chengdu, the capital of Sichuan province. 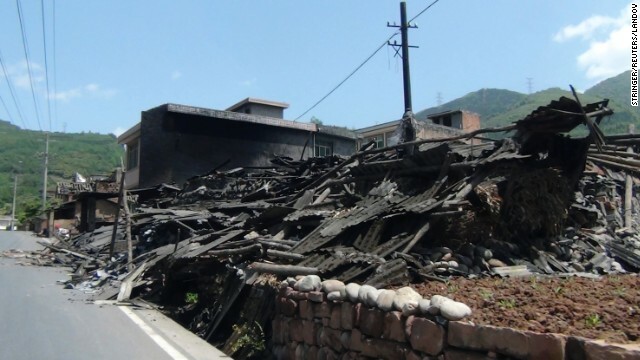 A collapsed house sits in Gucheng Village. 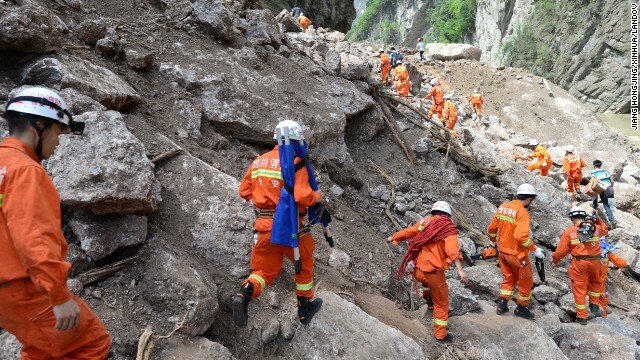 Rescuers head for Baosheng township on Saturday. 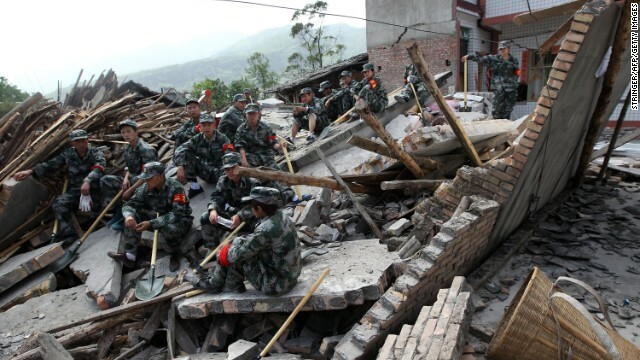 Rescuers sit on ruins of a house in Longmen, an area close to the epicenter of the earthquake. 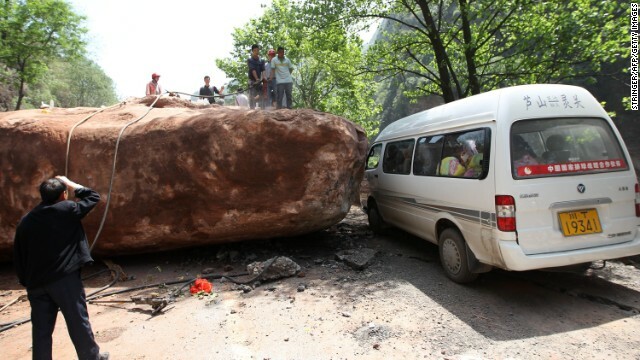 People attempt to move a huge rock blocking the road to Longmen township on Saturday. 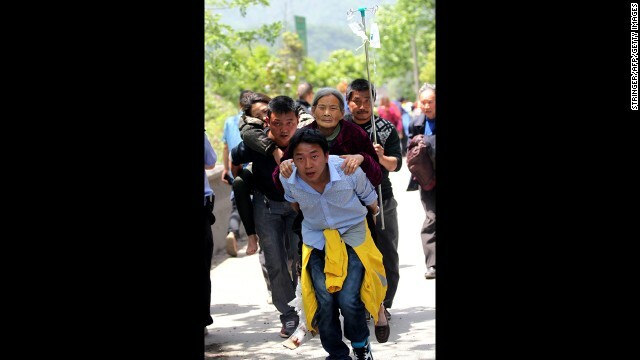 Residents help carry injured people to the hospital on Saturday in the city of Ya'an. 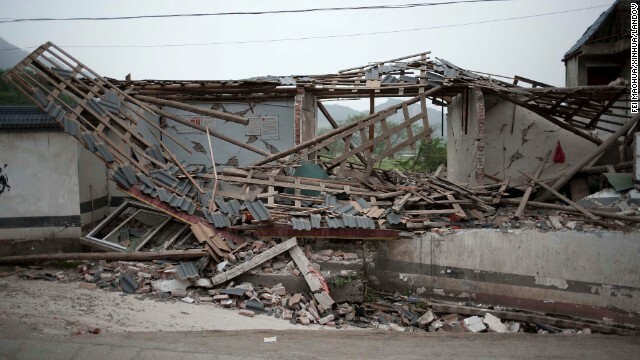 Rubble covers roadside houses in Longmen on Saturday. Traffic passes debris in Chongqing on Saturday. A girl gives offerings to the dead by the side of ruins in Longmen on Saturday. 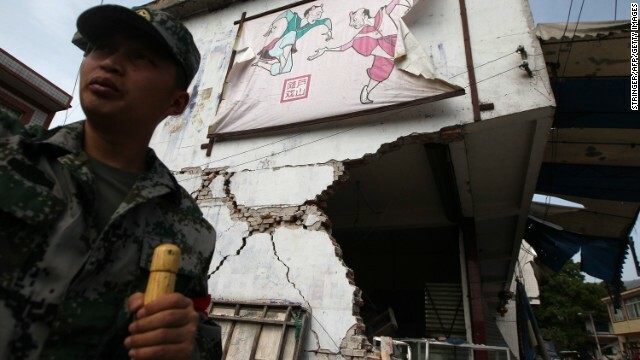 A rescuer stands by a damaged building in Longmen on Saturday. 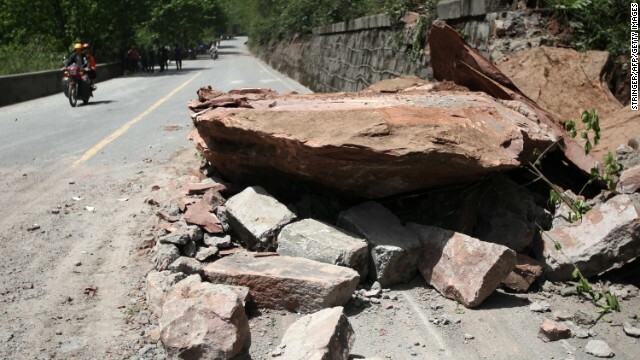 Huge rocks lie on a road in Longmen on Saturday. 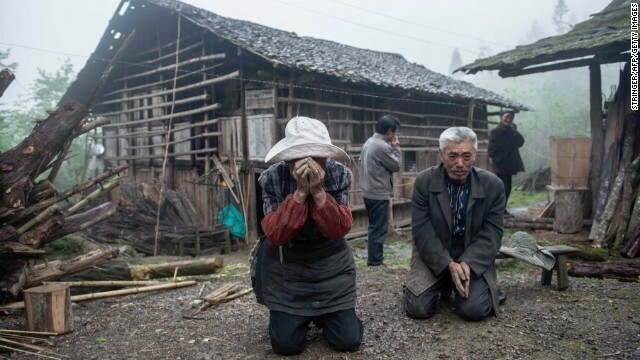 Hong Kong (CNN) -- A strong earthquake struck the southwestern Chinese province of Sichuan on Saturday, killing at least 179 people and injuring about 6,700 others in a region that suffered a catastrophic quake five years ago, the state-run Xinhua news agency reported Sunday. 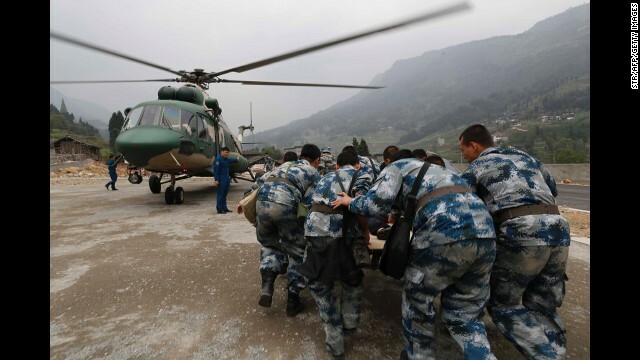 Thousands of emergency workers, including soldiers, rushed to reach the affected zones in the hilly region, and Chinese Premier Li Keqiang traveled to the area from Beijing, state media reported. 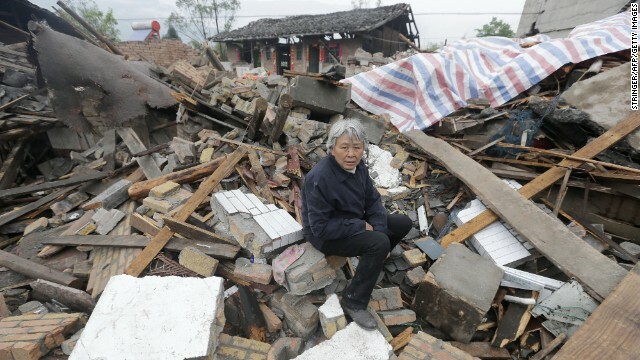 Xu Mengjia, the Communist Party chief of Ya'an, the city that administers the area where the quake struck, told state broadcaster CCTV that because of landslides and disruption to communications, determining the total number of casualties may take some time. 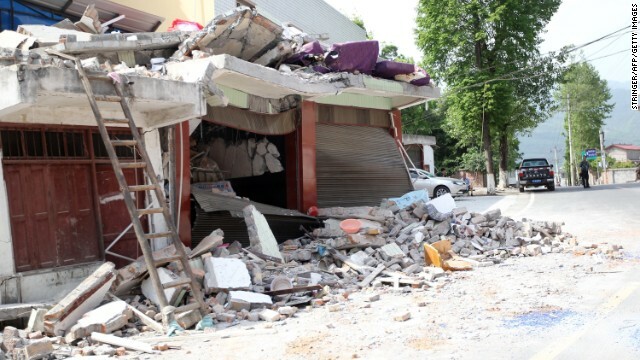 The quake struck just after 8 a.m. local time Saturday, about 115 kilometers (70 miles) away from the provincial capital, Chengdu, at a depth of around 12 kilometers, according to the U.S. Geological Survey. There was conflicting information about the earthquake's strength, with the USGS putting the magnitude at 6.6 and the China Earthquake Networks Center gauging it at 7.0. It was followed by a series of aftershocks, some of them as strong as magnitude 5.1, the USGS said. Authorities have responded by sending rescue workers to the area around the epicenter, briefly halting flights at the airport in Chengdu and suspending high-speed rail operations, state media reported. The event stirred memories of the devastating earthquake that hit Sichuan in 2008, killing more than 87,000 people. First responders to Saturday's quake reported that the damage caused didn't appear to be as severe as what was seen in the aftermath of the 2008 disaster, according to CCTV. 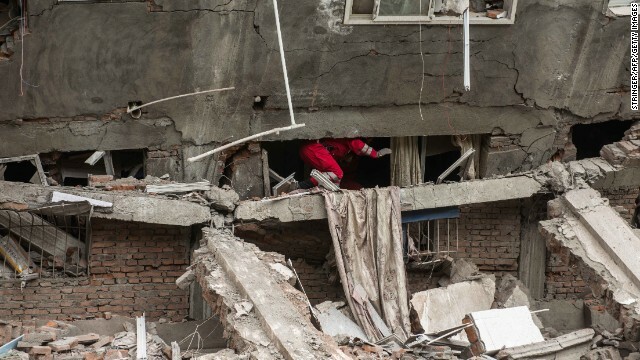 Fan Xiaodong, a student in Chengdu, said when the tremors began to shake buildings in the city, many of his startled classmates rushed out of their dorms, some of them wearing only the clothes they'd been sleeping in. At first, Fan said, he only felt a slight trembling as he dozed in bed. "I thought it was my roommates shaking the bed," he said. "But the shock became stronger soon, and it came to me that an earthquake happened." The epicenter was in Lushan country, a district of Ya'an. That area is home to China's famous giant pandas and houses the country's biggest panda research center. 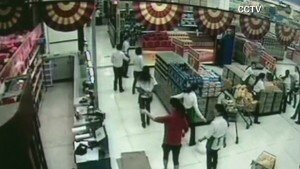 CCTV reported that the pandas at the facility, which is about 40 kilometers (about 25 miles) from the epicenter, were safe. Residents of Chongqing, a sprawling metropolis more than 300 kilometers (about 190 miles) from Ya'an, said the quake also shook buildings there. CNN's Jethro Mullen reported and wrote from Hong Kong, and Steven Jiang reported from Beijing. 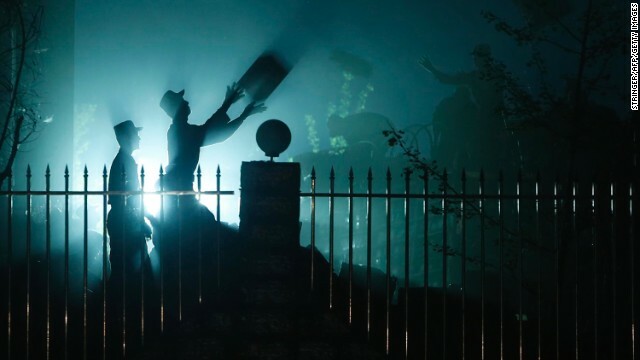 CNN's Feng Ke in Beijing and Henry Hanks in Atlanta contributed to this report.